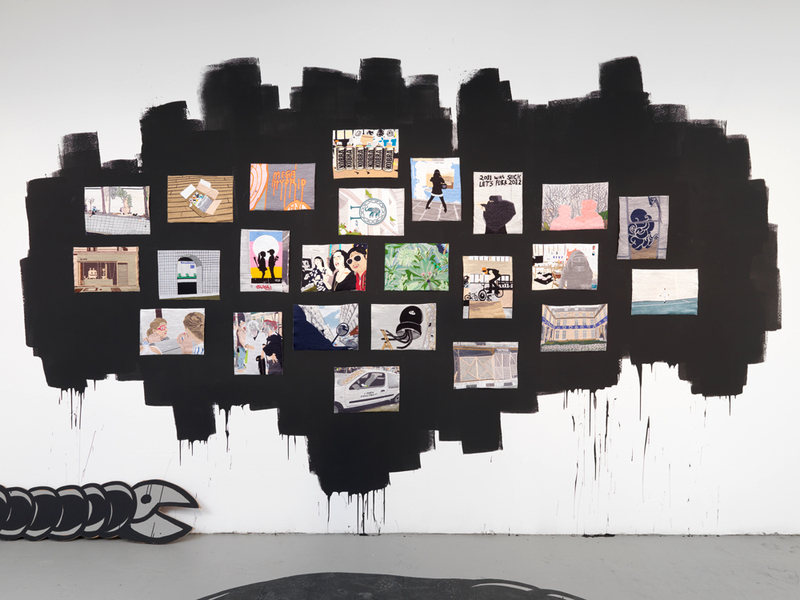 The Exhibition of Eko Nugroho takes place in our additional galleryspace on Tagesspiegel Areal, Entrance Potsdamer Strasse 87. On the Occasion of the Berlin Gallery Weekend you can also visit our exhibition of Gilbert & Georges “London Pictures”. 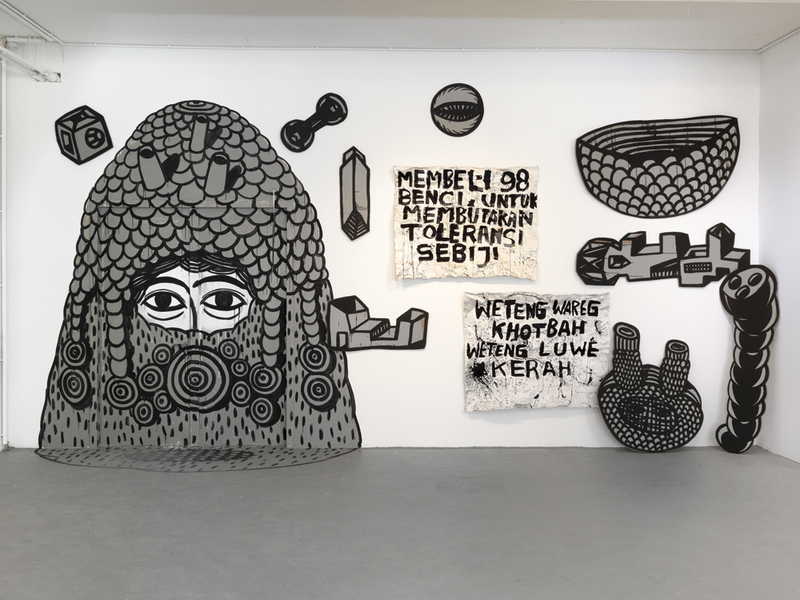 ARNDT Berlin is proud to present the first solo exhibition of the Indonesian artist Eko Nugroho (born 1977 in Yogyakarta; lives and works in Yogyakarta) in Germany. 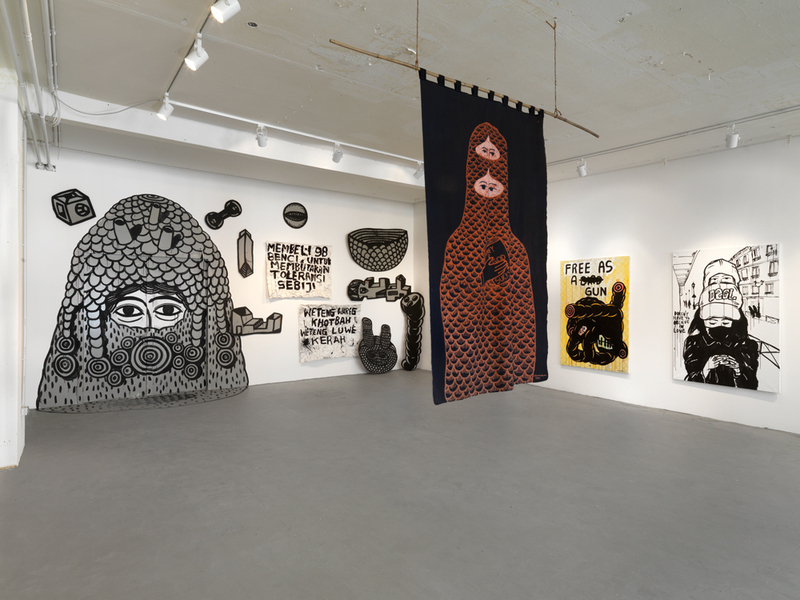 Eko Nugroho's work represents the daily life of Indonesian society, which is on one hand strongly hierarchical and Muslim-influenced and on the other hand influenced by globalization and the western value system. In his paintings this contrast is visualized by showing fantasy beings comprised of human limbs and machine elements with faces mostly hidden behind masks or helmets. By juxtaposing these images with humorous but also critical texts and sayings, Nugroho tries to entice especially the young Indonesian generation to deal with political issues. He develops his skills in as many mediums as he can, from painting to drawing and video to more traditional hand craft techniques such as hook rugging. He captures the noise and the frenzy of the street, the eye-contact, identity, attitudes. He translates this flow in his drawings and patterns which invade the space. 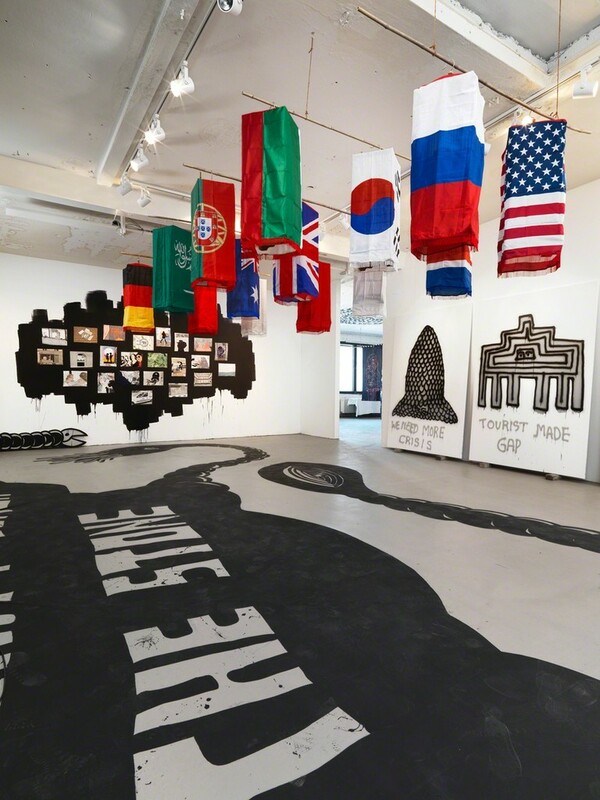 All the means of creation are used to translate these meetings between Indonesia and the West, street culture and the art world, political stakes and intimate reflections. Although he was trained at the Indonesian Art Institute and presented in galleries and museums, Nugroho’s work is deeply anchored in the urban environment. For ten years he has edited the comic book review Daging Tumbuh open to artists of all persuasions, he directs a clothes business which he customises and has made from the cast-offs of his area, in an Indonesia struggling to find economic stability. 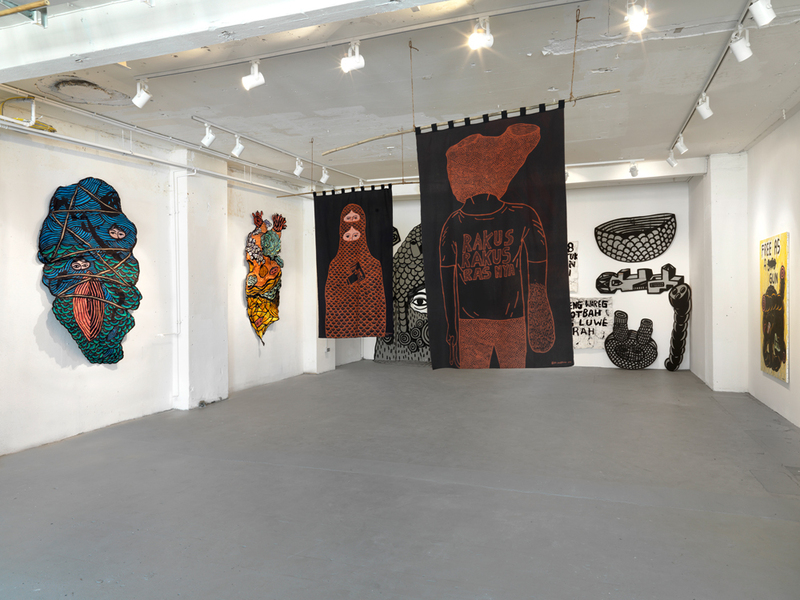 Eko works in situ, collaborating with local communities, occupying all the surfaces which he is given, from the façade of the Sucrière during the Biennale de Lyon in 2009, to the Espace Louis Vuitton 2011. 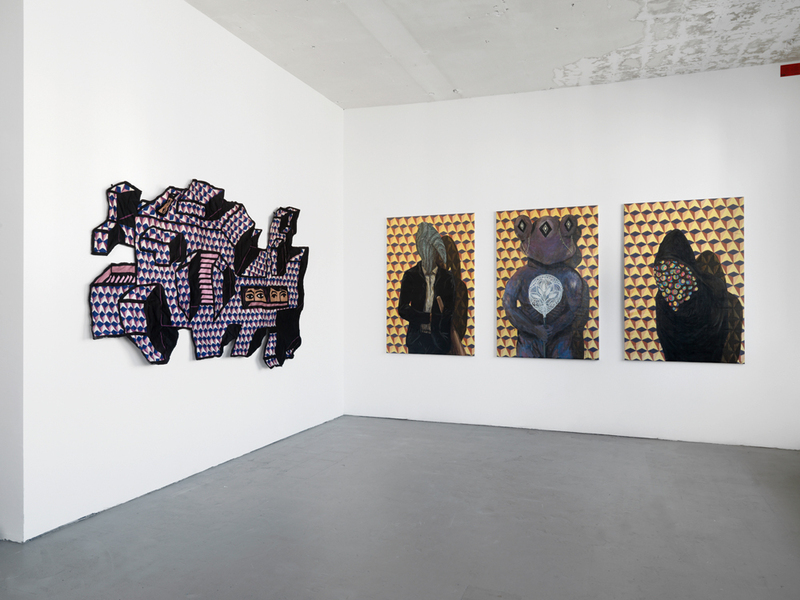 In his exhibition at ARNDT, the artist takes possession of the space by covering the floor, walls and ceiling with mural paintings. 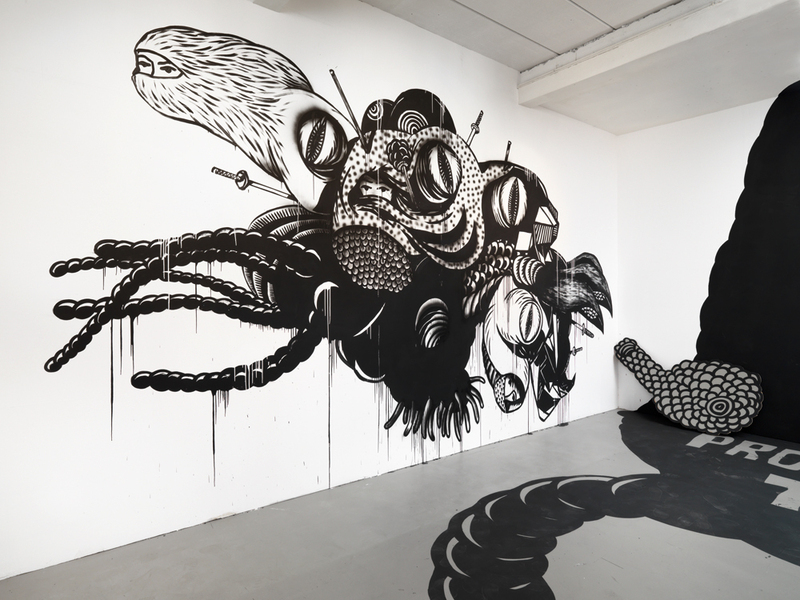 He presents canvases with hybrid characters somewhere between monsters and teenagers, bringing an unsettling and ironic point of view as well as imposing embroideries, a traditional technique hijacked by the artist, sculptures and characters seemingly from science-fiction and an animated film which is both playful and unsettling. The artist will be present during the opening of the exhibition.